Lyle Foster got off to a good start to life in France as he made his Monaco II debut on Saturday, playing 90 minutes in their win over Martigues. 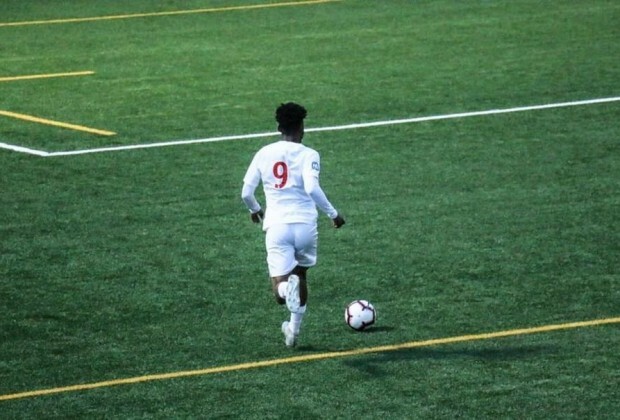 The 18-year-old attacker finally flew out to France last month to begin his new life in Europe following a big-money move from Orlando Pirates, the club that developed him from being a budding young player to one of South Africa's hottest prospects. Foster, who is expected to get a chance with Monaco's senior team at some point, wasn't able to to make his debut prior to this weekend as he got all his paperwork in order, but was given a full game against Martigues as they picked up a 3-2 win to end a poor run of form in the National 2. The South African youth international will have been delighted to get off to a winning start with Monaco II, and will now be turning his focus towards getting his first goal after securing his first 90 minutes and three points. Foster joins the likes of Tashreeq Matthews (Dortmund/Utrecht), Bradley Cross (Schalke), Khanya Leshabela (Leicester City) and Dean Solomons (Ajax Amsterdam) on the list of Mzansi teenagers who have been snapped up by prominent European sides. All the best boy in your career.